Can Botox fix hair loss? 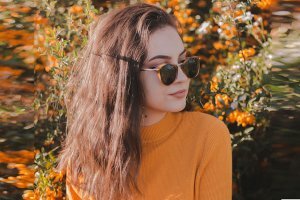 Doctors discovered that botulinum toxin type A was helpful for treating hair loss by chance when patients saw an improvement after receiving Botox for other issues. Some dermatologists have found that using Botox to treat excessive scalp sweating can help hair in itself, as stopping the scalp from sweating keeps hair looking stringy and unclean. From this treatment, some doctors have noticed that new hair was able to grow in areas that received injections. Seeing and hearing these results, researchers have started to study the effects in clinical studies. In a study, 50% of subjects reported new hair growth. Another study that treated patients using a combination of botulinum toxin injections and polyrevitalizing solutions showed many promising results. Subjects self-assessed the effectiveness of treatment using a scale of 0 to 10, with 0 meaning no effect and 10 meaning beyond expectation. They rated 5 different criteria: hydration, thickness, strength, flexibility, and shine. In the first week of the study, the average rating was 6 for hydration, 0 for thickness, 0 for strength, 0 for flexibility, and 6 for shine. After 4 weeks of treatment, the average ratings were 10 for hydration, 5 for thickness, 8 for strength, 7 for flexibility, and 10 for shine. It is theorized that Botox injections are helpful because vessels are decompressed once the muscles are relaxed, allowing increased oxygen and blood flow to the frontal and coronal scalp. This increase in flow allows more nutrients to be delivered to the hair, making it stronger and healthier and even allowing new hair to grow in the follicles. Hair loss, also known as alopecia, or hair thinning can occur in individuals for a number of reasons. Temporary or permanent hair loss can be caused by poor nutritional habits, anemia, protein deficiency, vitamin deficiencies, thyroid disease, or can be a symptom of chemotherapy. Hair loss typically becomes more prominent or likely as we age, particularly androgenic alopecia, the most common form of hair loss. Androgenic alopecia is often referred to as male pattern baldness, though it can also affect women. In fact, 40% of people who suffer from androgenic alopecia are women, and 80% of women will experience hair loss in some form or another by the time they turn 60. About 50% of men will experience some degree of androgenic alopecia by the age of 50. The exact cause of androgenic alopecia is not known, though it is thought to be a combination of genetics and the hormone dihydrotestosterone in men. In women, it is often associated with polycystic ovary syndrome, which is caused by an imbalance of hormones. Botox injections are a safe, non-painful, non-invasive solution to treat hair thinning and hair loss. Botulinum toxin type A has been used for decades and is proven to be safe and effective in a number of cosmetic and medical treatments. However, there are some risks and mild side effects associated with Botox injections, including the development of a rash, itching, headache, nausea, flu-like symptoms, muscle weakness, bruising or bleeding at the injection site, dry mouth, and drowsiness. These side effects are temporary and will resolve themselves within a few days of appearing. More rarely, Botox injections may cause difficulty swallowing, speaking, or breathing, in which case the patient should seek medical attention. Though the study of Botox for hair is still in the preliminary stages, there are a lot of promising results and anecdotal evidence showing its effectiveness. Injections are quick and easy, and results are believed to last for approximately 3 to 4 months. However, researchers suggest that injections may not be effective in instances where the hair follicle is destroyed, which means that treatment may not be suitable for patients who are already in the later stages of baldness. Though many people may only be familiar with Botox’s cosmetic uses, it is actually used to treat a number of medical issues and conditions. Botox works by interrupting the signals that would usually pass between muscles and the brain that would cause the muscle to contract, thereby creating temporary paralysis of a muscle upon injection. In cosmetic treatments, this works by paralyzing the underlying muscles that cause wrinkles to appear, smoothing out their appearance. This makes it very effective in treating dynamic wrinkles such as the horizontal lines in the forehead, the frown lines that appear between the brows, and crow’s feet, which appear around the corner of the eyes. Many uses of Botox have been discovered as a side effect of treatment for other conditions, and this is true not only for its wrinkle correcting abilities, but also its discovery as a treatment for hair loss.